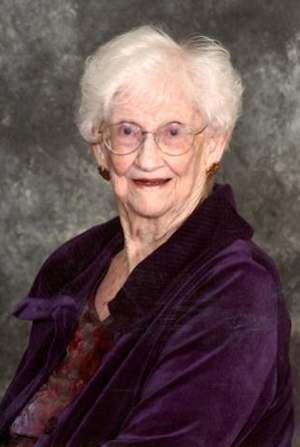 Obituary – Cain, Truth Luvisa (Williams) « Perry High School Alumni Association, Inc.
– daughter of Mr. and Mrs. T. L. Williams of Perry, was born in Boynton, Okla. on Jan. 27, 1918. Miss Williams attended the elementary grades in Beggs, Wagoner and Perry, Okla. and attended high school in Perry. During her high school career she was a member of the Red Hots and orchestra. Following graduation wants to be a saleslady. Truth Luvisa Cain, 93, Liberal, died Feb. 10, 2011, at Southwest Medical Center, Liberal. She was born Jan. 27, 1918, at Boynton, Oklahoma, the daughter of Thomas Lewis and Emma (King) Williams. She was a high school graduate of Perry High School, Perry, Oklahoma, and worked as a psychiatric aid at the Larned State Hospital for over 20 years. She was a member of the Church of Christ, Larned and Amarillo, Texas, the Welcome Inn Seniors, Larned, and EHU, Trousdale. 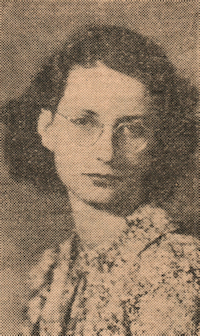 On Aug. 11, 1940, she married Mikel Raymond Cain at Perry, Oklahoma. He died March 1, 1977. Survivors include, one daughter, Carol Rose and husband, Roger, Liberal, one son, Thomas and wife, Liz, Auburn Hills, Michigan, seven grandchildren, Paul Donovan and wife, Lynn, Liberal, Sharla Osborn and husband, Gary, Scott City, Mikel Cain and wife, Nicole, Harper Woods, Michigan, Jason Cain and wife, Jen, Goodrich, Michigan, Joshua Cain, Auburn Hills, Michigan, Ricky Rose, Liberal, and Vicky Kuns and husband, Dan, Joshua Tree, California, 18 great-grandchildren and six great-great-grandchildren. She was preceded in death by her parents, two sisters, Ruth Shelby, and Judith Grant, and one granddaughter, Tammy Naab. Funeral service will be held Monday, February, 14, 2:00 p.m. at Morell Funeral Home, Larned, with Pastor Darren Metcalf presiding. Burial will be in the Larned Cemetery. Memorials may be sent to the Church for All Nations in care of Morell Funeral Home, P.O. Box 124, Larned, Ks. 67550.